Call us today at (205) 774-9557! Handyman Connection of Tuscaloosa proudly provides quality, professional handyman services to residents in the Tuscaloosa area. When it comes to your home improvement projects, our craftsmen have the expertise to get the job done and done right. Each one of our craftsmen has over ten years of experience and have extensive backgrounds in construction, home repair, remodeling, and other handyman services. Handyman Connection of Tuscaloosa's goal is to provide its customers with excellent workmanship and superior customer service. Handyman Connection of Tuscaloosa's team is passionate about taking your home improvement dreams and making them a reality. Our expert craftsmen are ready to help you with all your home improvement needs, whenever you need us. At Handyman Connection of Tuscaloosa, we believe that every project we undertake is an opportunity to prove ourselves to you, our customer, which is why we provide only the absolute best in quality professional handyman services. When it comes to working on your home we understand that you want to choose someone that you can trust, and Handyman Connection of Tuscaloosa has been building that trust since 1993. We can help with a wide variety of home maintenance, home repair, and home improvement projects - all provided with the best customer service in the business. Our skilled craftsmen are ready to help you with projects big or small. If you need something repaired, built, installed, or maintained, Handyman Connection of Tuscaloosa has you covered. 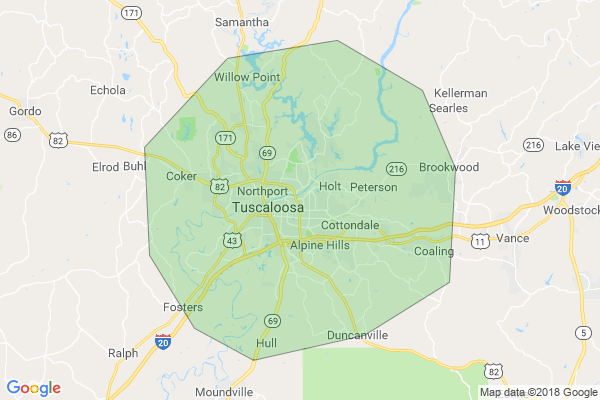 Please use this space to tell Handyman Connection of Tuscaloosa as much information as possible about your needs. Why Choose Handyman Connection of Tuscaloosa as your Handyman? I need a pet door installed in an interior door. I need a handyman to lay laminate in 740 square feet. Den area.